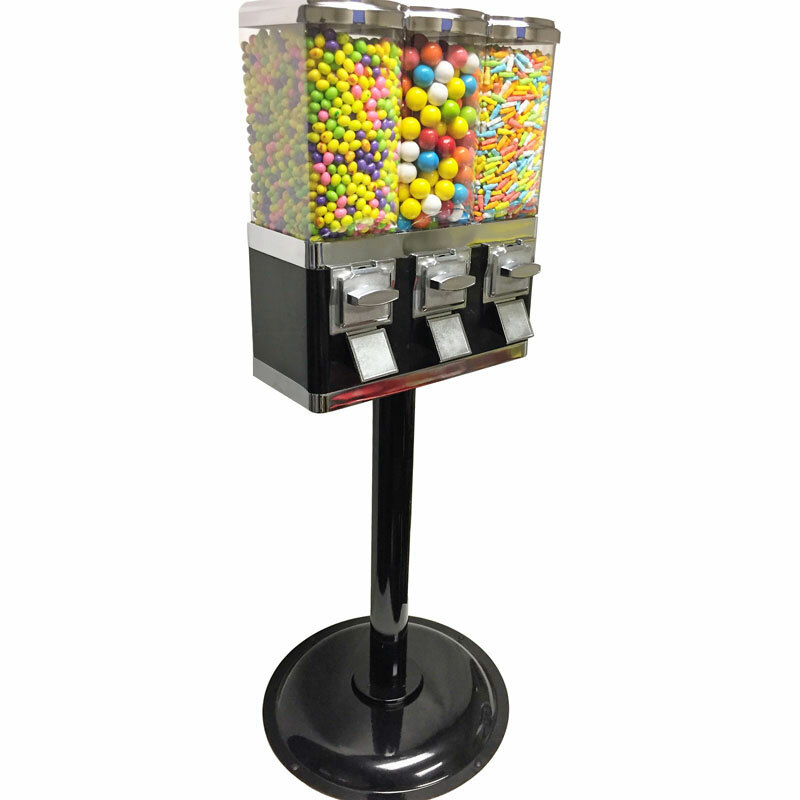 It's easy being green with this attractively designed, simple to remove 3 canister vending machine with black metal stand. 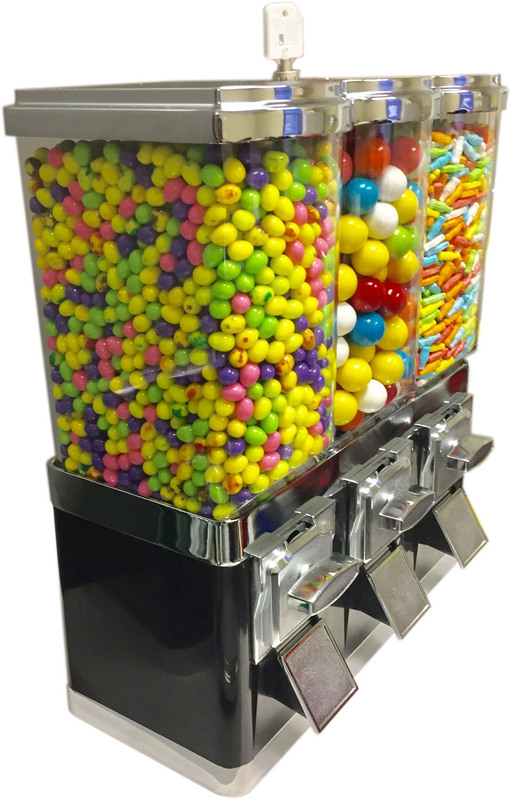 Outer canister wheels set to dispense candy and middle set for 1" gumballs, jawbreakers, bouncy balls or toy capsules. Allows for quick and easy servicing. Lifetime Warranty on coin mechanism against manufacturer defects under normal working conditions and ordinary wear and tear. from Texas I love it! This is a handsome triple head machine! Very sturdy and I love the removable canisters for easy candy/gumball exchange! Highly recommend this one! I spend a couple of days looking for vending machine. This was by far the best price for the same product elsewhere available on the market. You would surely get your money's worth. from Florida Ready to Vend! I bought 3 Triple Canister Vending Machines. Putting the machine together only took 10 minutes at the most once I discovered to go underneath the coin drawer to screw in the screws. Even though there are videos on YouTube & info send through email, they didn't provide step by step instructions. The selling point for me was the outer two compartments are for candy. 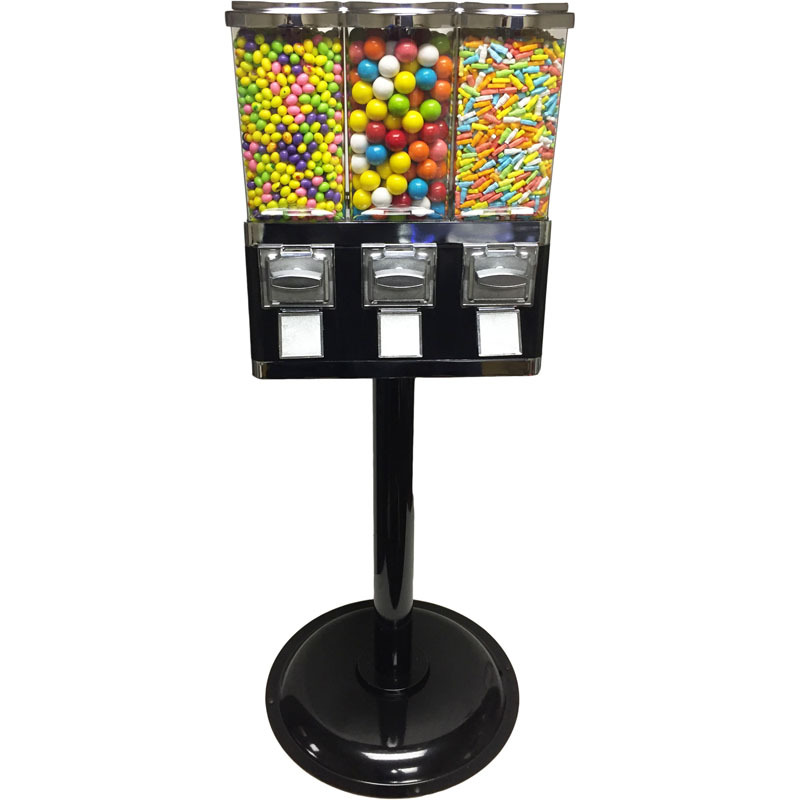 The middle is for gumballs but can vend 1" acorns. The fact that the three compartments are separate (not attached) that makes easy cleaning and refilling! No problems putting it together and its worka great. Just like i was hoping. A few dents and scratches. 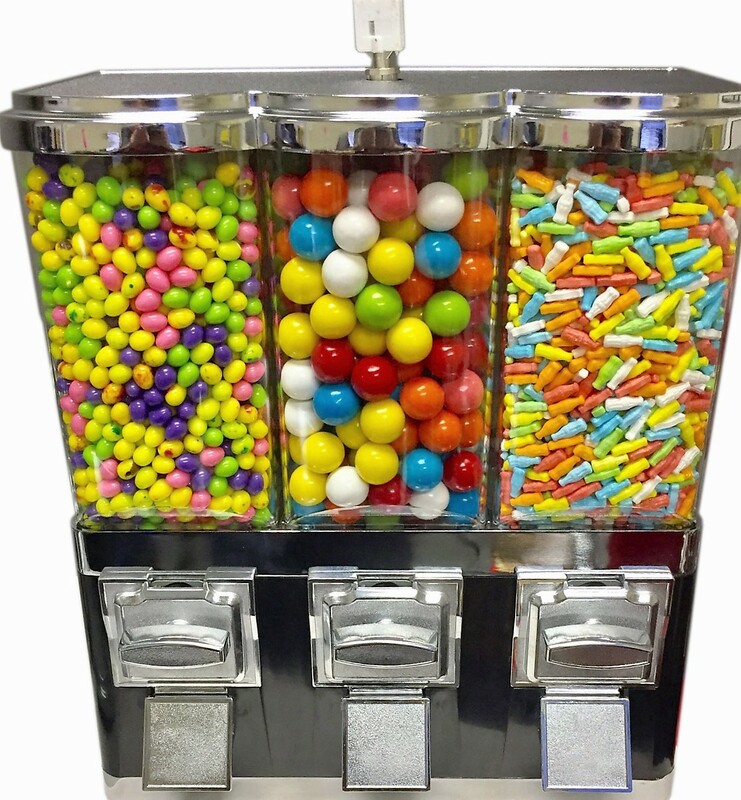 We love our new candy machine. The customer service has been amazing! Thank you!